Born on the 2nd of June 1960 to Jamaican parents, Shaun is a Londoner born and bred, and has been a devoted Chelsea fan since 1967. From the age of 12, Shaun knew he wanted to be a barrister and was determined to make it. Despite one or two setbacks along the way, he finally managed to fulfil his childhood ambition when he was called to the bar in November 1984. He has been a Criminal Defence Advocate now for nearly 34 years, and has worked tirelessly on cases ranging from murder to money laundering to firearms to drug trafficking. Shaun has also regularly appeared on British television quiz shows such as Fifteen-To-One, The Weakest Link, Greed, and Are You an Egghead?. 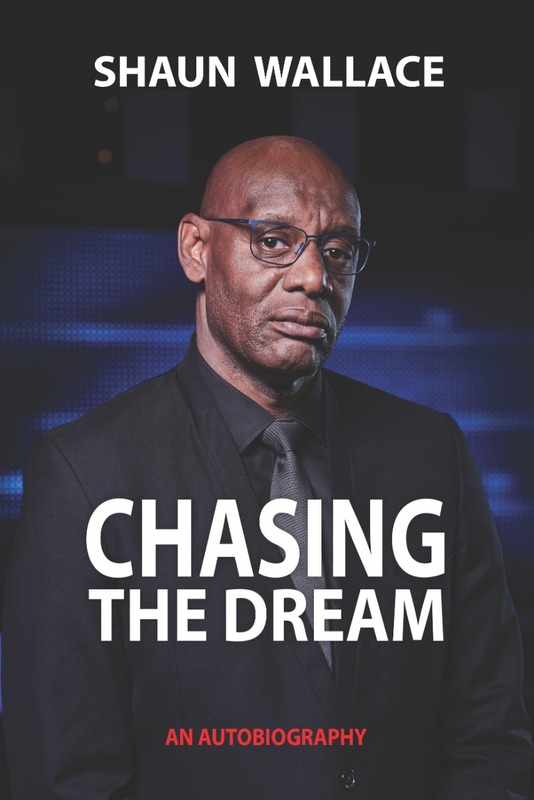 Shaun catapulted to national prominence and recognition when, on the 5th December 2004, he became the first black person to win the BBC's renowned Mastermind. Since 2009, he has become a household name, regularly appearing as The Dark Destroyer on the smash ITV hit teatime quiz show, The Chase. Read how Shaun's passions have helped turn him into the man he is today: staunchly just and fair, ruthless when he needs to be, kind, fun, and a fiercely loyal friend. 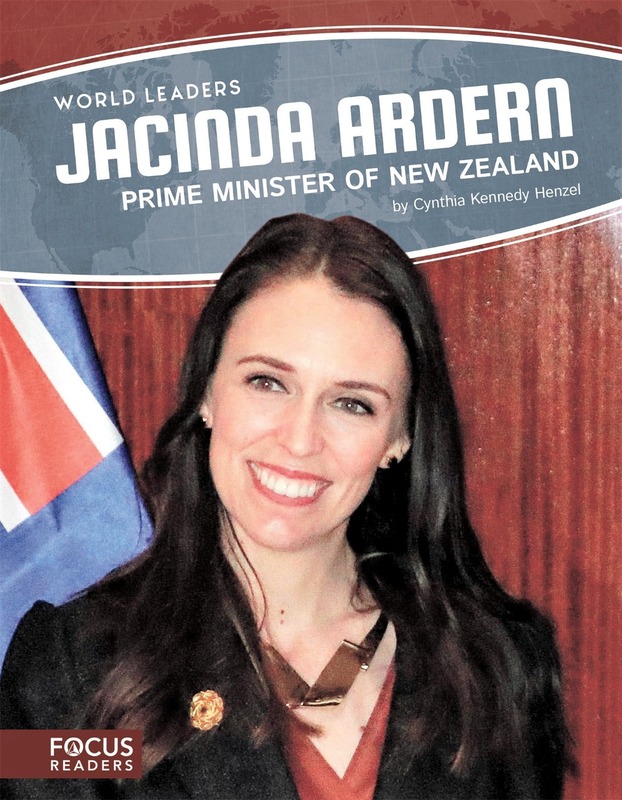 This book introduces children and young adults to the political career of New Zealand Prime Minister Jacinda Ardern. Engaging infographics, thought-provoking discussion questions, and eye-catching photos give the reader an invaluable look into New Zealand and the office of its current leader. The World Leaders series introduces readers to some of today’s most powerful political figures. From the leaders’ roles on the global stage to the history of the nations and communities they lead, these informative narratives connect readers with current events by covering everything they need to know about the leaders impacting their world. Until the age of twenty, Donald McIntyre hoped to play for the All Blacks, and was on his way to acheiving that aim. As a young man, however, he acknowledged his exceptional voice and opted for a career in singing. After leaving New Zealand and arriving in London, McIntyre set his sights on the world of opera. His spectacular musical life saw him conquering the stages of two London companies in the 1960s and 70s: Sadler’s Wells and ROH Covent Garden. 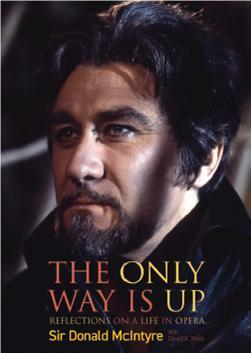 His increasing command of Wagner roles brought him to the notice of Richard Wagner’s grandson Wolfgang Wagner, and in 1967 he made his debut appearance in Lohengrin. For the next seventeen years he sang in every Festival cycle and became the first “British” musician to sing the role of Wotan in Wagner’s mighty, four-opera Ring. Recognised for nearly three decades as the definitive Flying Dutchman, McIntyre also starred in the Bayreuth Centennial Ring in a production by Patrice Chéreau that completely revolutionised Wagner opera, and shot him to lasting fame, and in 1992, a knighthood. In this fascinating memoir “Sir Don” looks back over a huge slice of operatic history and his role in it. Mixing fun and gossip with judgement and insight, he brings to life a teeming gallery of the world’s most famous musicians – singers, conductors, directors, teachers, designers, sponsors … all the movers and shakers in the opera world of two generations. Edited by music professor and well-known New Zealand Wagnerian and radio personality, Heath Lees, this book is a fitting monument to Sir Donald’s magnificent half century in opera. Adrian Rohnfelder is the first photographer to climb the seven highest volcanoes on the continents and photographically documents his journey The Volcanic 7 Summits are one of the last great and unknown adventures in the history of mountaineering Seven unique adventures in seven landscapes, to seven cultures on seven continents By bike high above the steaming rainforests in the Kilimanjaro massif; through the burning heat of the Atacama Desert in Chile to the summit of Ojos del Salado; In the no man's land of the Antarctic, on the spectacularly glaciated Mount Sidley, so remote that only a handful of people ever saw it. Adrian Rohnfelder, travel and adventure photographer, is one of the first ever to climb the seven highest volcanoes on the continents. Because since 2008, the "firework virus" grabbed him on Indonesia, the glowing giants have not let go of him. The aim is not the summit itself, but the photos that emerge on his travels there. 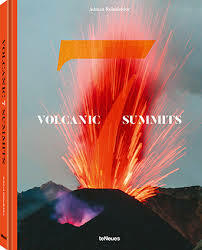 In “Volcanic 7 Summits” he tells the story of his spectacular trips. Because every landscape that he visits is unique, every culture that he encounters is matchless. The result is an illustrated book, which not only portrays the beauty of the mountains and the fiery spectacle of the volcanoes, but above all impressively shows us the versatility of the planet. And it keeps reminding us that it's often less than a stone's throw from fire to ice. Unique and rare Polaroid shots and contact sheets show the career beginnings of David Drebin and his protagonists With portraits of Charlize Theron, Steve Jobs, Bradley Cooper, Emily Blunt, Tommy Hilfiger and Diane von Furstenberg, among others The sixth book by David Drebin is limited to 1,200 copies and is a must­have for all lovers of his photography and art In Before They Were Famous, multidisciplinary artist David Drebin gathers his best shots of world-famous celebrities, before they hit the big time—whether Charlize Theron before her Oscar win or Steve Jobs before the first iPod. 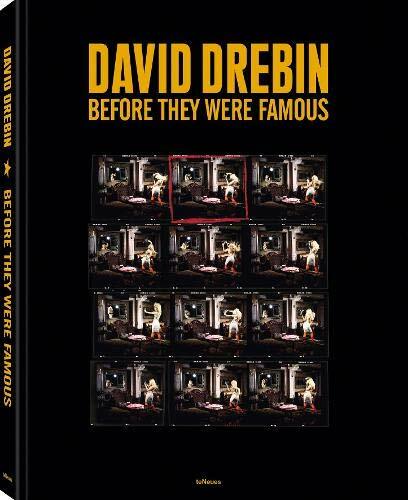 Limited to 1,200 copies, the book is a delightful and fascinating collection of pre-digital era Polaroids, contact sheets, and many of Drebin’s most famous images before they were sold out—Central Park, Girl in the Red Dress, or I love you with Girl. We see famous faces every day: campaign shoots, pro­motional pictures, and paparazzi photos plaster the pages of print and digital media. But how did these well­ known personalities present in front of the camera before they made it big, becoming the highly­recognized celebrities of today? In Before They Were Famous, David Drebin has rummaged through his archive to curate some of his best pictures of today’s most familiar faces. Whether Charlize Theron before her Oscar win, John Legend before he stormed the charts, or Steve Jobs just before the intro­duction of the legendary first iPod, David Drebin photo­graphed them all on their path to fame. With this captivating line up, the New York City­based mul­tidisciplinary artist not only offers an intimate and original look at now world­famous celebrities, but also shares his own career beginnings presenting images before they were sold out. These limited edition photographs were all created before Drebin, too, became famous, providing a unique and rare document of his own creative journey. Alongside the portraits, the book also shows original works, from femmes fatales to landscapes, which would come to define his practice and are today sold as limited edition photographs in the finest galleries worldwide. Walter Knoll is widely regarded as the furniture brand of modernity with an iconographic lineage of avant-garde and classic pieces Walter Knoll furniture has defined eras and has had an enduring influence on design and lifestyle This book reveals the complete history of this remarkable company with rich illustrations and exciting texts by bestselling author, Bernd Polster A vivid company biography of leading furniture manufacturer Walter Knoll based on its formative figures Wilhelm, Hans, and Walter Knoll, and most recently, Markus Benz. 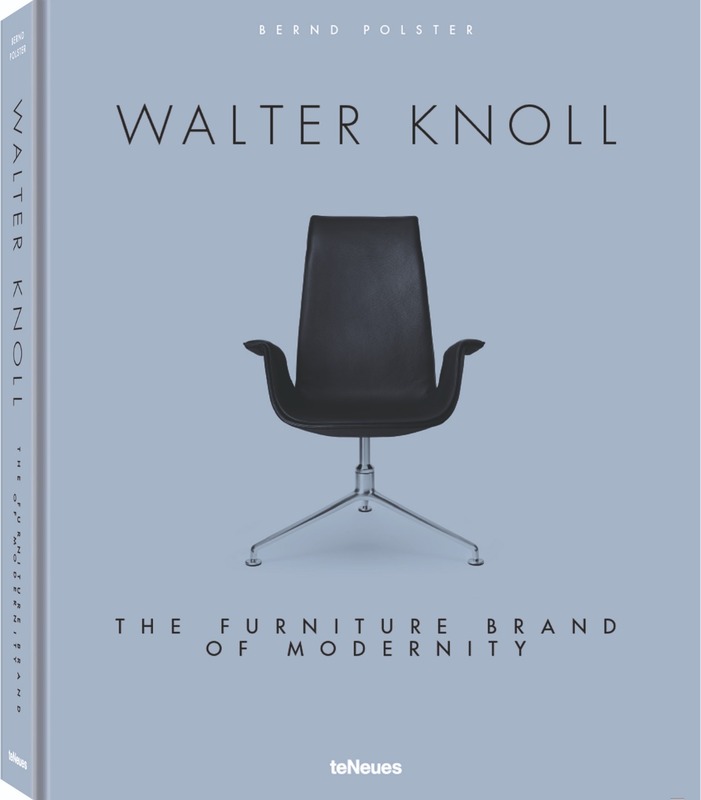 Walter Knoll, the book, charts the more than one-and-a-half-century-old history of this remarkable furniture dynasty, tracing the evolution of its designs in relation to key cultural and historical developments. When the Thomas Mann House in Los Angeles was recently bought by the Federal Republic of Germany and transformed into a representative “transatlantic meeting place,” it was Walter Knoll furnishings that defined its interior design and showcased German creativity and economic-cultural performance. Based in Herrenberg, near Stuttgart, the more than 150-year-old furniture business is one of the most successful furniture companies of the modern era and a global leader in the high-end furnishings segment. Walter Knoll’s impressively long history dates back to Wilhelm Knoll, the founding father of the Knoll dynasty, who first set up a leather shop in Stuttgart in 1865. Knoll rose from being a tanner and merchant to the court purveyor to the House of Württemberg. When his sons, Willy and Walter, took over the company in 1907, they began producing seating—introducing the first club armchair to Germany and becoming the industry’s first exporter. Their advances marked a revolution in upholstered furniture. After founding his own company in the 1920s, Walter Knoll was a breakout sensation in the avant-garde interior design world with a landmark exhibition at the Weissenhof Estate in Stuttgart, under the direction of Mies van der Rohe, in 1927. His son, Hans Knoll, went to the U.S. in the 1930s and himself founded his own company, Knoll Inc., and with it, re-wrote design history. In 1993, Markus Benz, the son of Rolf Benz, joined the Knoll ranks, continuing the successful cooperation with internationally-renowned architects and designers. This fascinating company story shows how the Stuttgart area, one of the strongest economic regions in the world, was also a wellspring of modern design and culture. The New Outsiders celebrates outdoor creativity. Fresh ideas, adventurers and sustainable entrepreneurs inspire a new outdoor generation to live a life less ordinary under the open sky. There is something about the great outdoors that makes us want to go back each time we return home from a field trip. We crave the crisp fresh air. We desire the raw experience that only nature can grant us. Driven by the will to unplug from our daily routines we seek to reconnect with something that feels more authentic. The New Outsiders celebrates outdoor creativity and presents brands and ideas shaping the ethos of today's adventurers and entrepreneurs. They develop products, run companies, explore far-flung countries and pursue activities with sustainability and social responsibility in mind. The New Outsiders introduces some of the most outstanding of these free spirits and presents in-depth features on niche activities and must-visit locations. 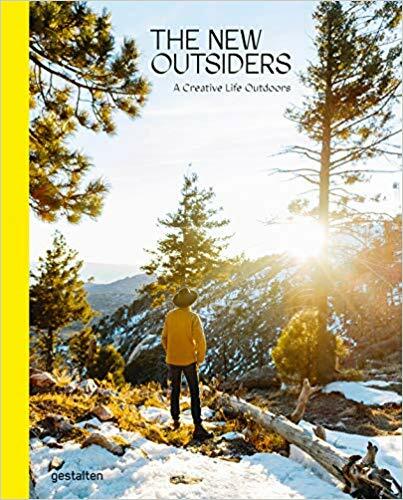 Co-edited by creative director and outdoor enthusiast Jeffrey Bowman this volume is a must have fir everyone who wants to call the great outdoors their second home. Go on the trip of a lifetime. 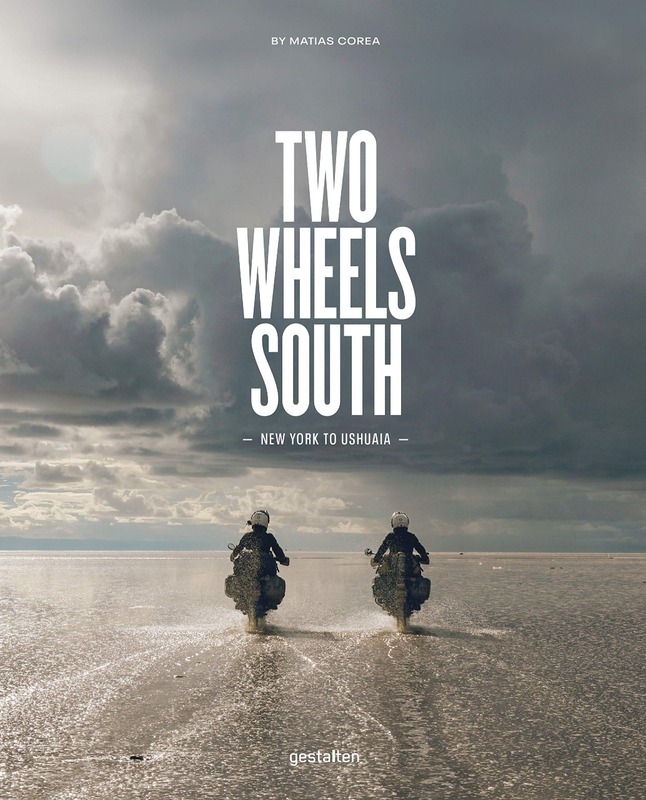 Two Wheels South shows you how to realize your own journey. Two friends take the motorcycle trip of their life―From Brooklyn to Patagonia. Matias Corea shares his insights on how to prepare, choose the right motorcycle, what to pack, how to plan the route, where to camp and last but not least: How to prepare your mind. Setbacks and breaking down are part of the adventure, but preparation and being on the road teach you the confidence to tackle any problem. Follow Matias Corea and his friend Joel through the American South, Central America over the Darien Gap and beyond, over wooden cracking jungle bridges in Colombia and to dry lake high plateaus in Argentina. Feel the character of the roads and the smell of nature: Riding a motorcycle is one of the purest forms of traveling. After 7 months and 13 countries Matias and Joel have learned a lot while riding down south on their trusty BMW air-cooled G / S overland haulers and are ready to share their experience. Two Wheels South invites you on the experience of a lifetime. 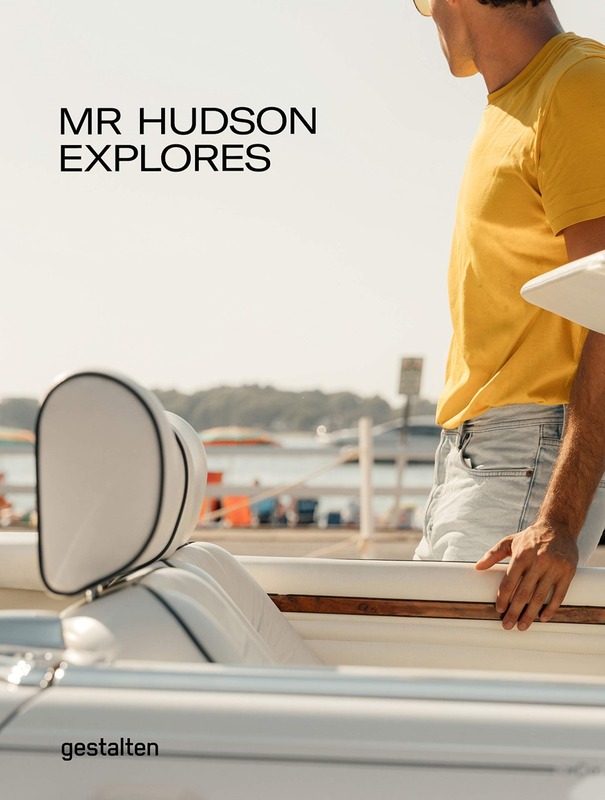 Based on Mr Hudson’s identity, the book is featuring destinations for gays, but not necessarily gay destinations. It is about travelling in style for everyone who is looking for something different and special – no matter if men or women, travelling solo or as a couple. Mr Hudson Explores shows that every part of a trip is an incredible experience. The core content of the book will consist of 20 cities in the Northern Hemisphere and showcases the very best the destination has to offer. Each guide will give a general introduction to the city and, if applicable, its relevance for the gay community. It showcases various locations on culture and art, the most inspiring museum to visit, traditional and upcoming food places, best shopping experiences, music and nightlife: Where to go out, which bars do have the best drinks, and clubs you can have the most fun at the city’s best parties and concerts. Depending on the location, day trips and activities can be included. Luxury accommodations and places to stay complete the range. The book will not just give descriptions of the places but also background information, telling the story of the owner, history or anecdotes. Monocle’s latest book unpacks what makes a perfect shopping experience and offers tips on how to launch, design and run your own store. A must-have guide. The world of retail has never been so ­challenged thanks to a mix of e-commerce, unimaginative brand owners and greedy landlords. Yet while many stores have ­stumbled, a new generation of storekeepers and department store owners is arising. Is this the dawn of a new, independent age of bricks and mortar retail? Since launch the retail world has been one of the pillars of Monocle’s editorial ­coverage. On their travels around the world, the magazine’s editors are constantly looking for well-designed fit-outs, the people setting new benchmarks in service and the stores offering the smartest product mix. At the heart of all this is an understanding that a memorable shopping experience relies on a delicate balance of an inviting space, a warm welcome and a sense of discovery (not to mention covetable products)―but an understanding, too, that shops and shopkeepers play an indispensable role in creating lively neighbourhoods and vibrant high streets. This new book from Monocle reveals the global media brand’s 100 favourite shops worldwide, from the independent fashion boutique to the department store that takes up a city block. It also offers a few top tips and advice on how to launch and run your own retail venture, as well as a collection of sharp essays and snappy interviews. 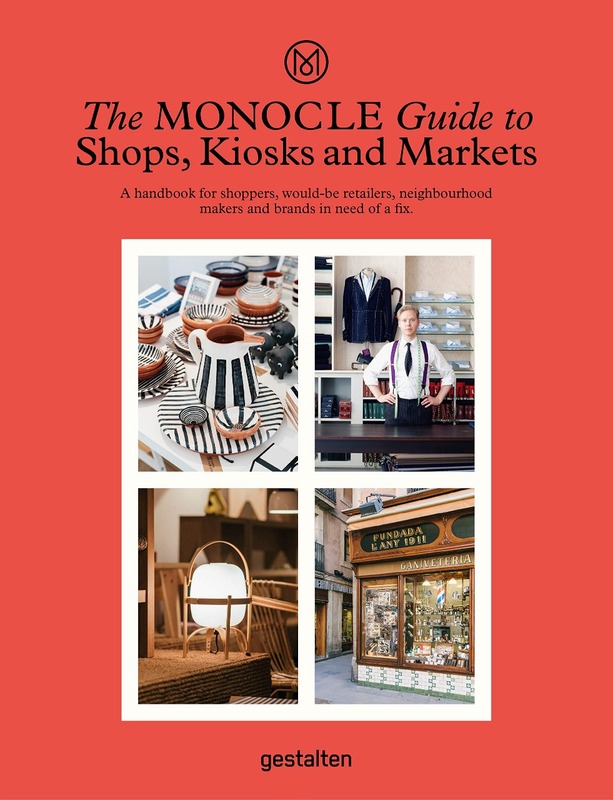 The Monocle Guide to Shops, Kiosks and Markets is a handbook for any aspiring shopkeeper, stocking a wealth of insight and inspiration.